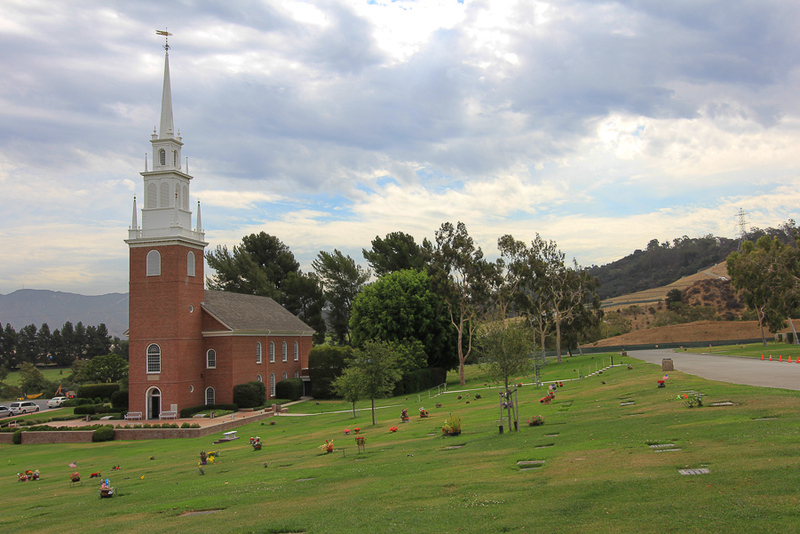 July 1, 2015 - Today's adventure brought us to the Hollywood Hills to visit the Forest Lawn Memorial Park. 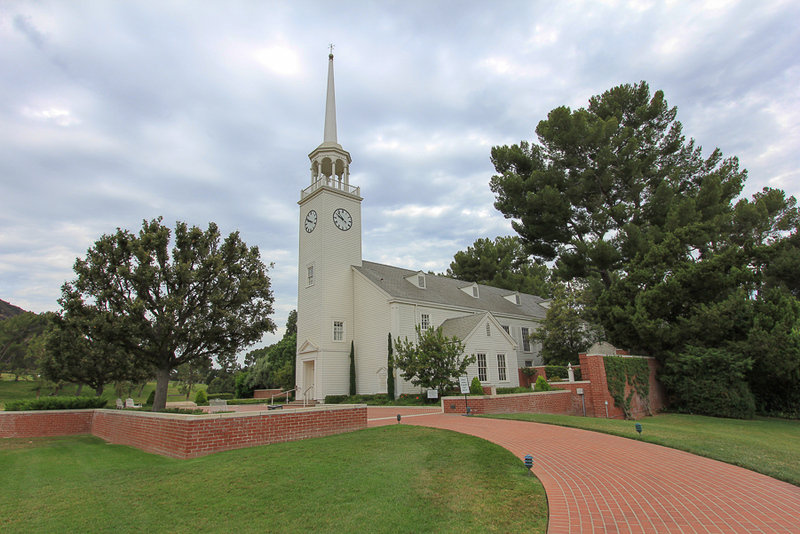 There are ten major Forest Lawn properties in the Los Angeles area and this park is dedicated to the preservation of American history. 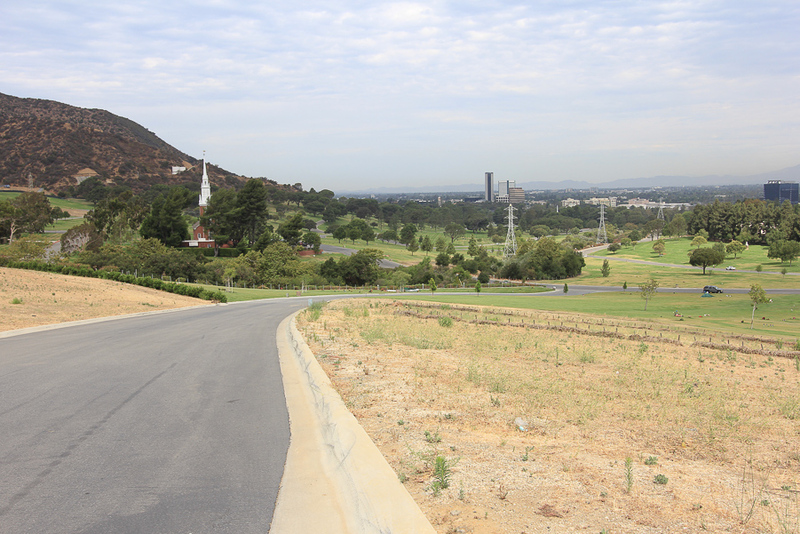 It's a very hilly location that overlooks Universal City. There are two large churches here and both are reproductions of New England churches. This one is called "Church of the Hills," which is a copy of a church in Maine. This one is a copy of the Old North Church in Boston. This monument dedicated to George Washington is very striking. 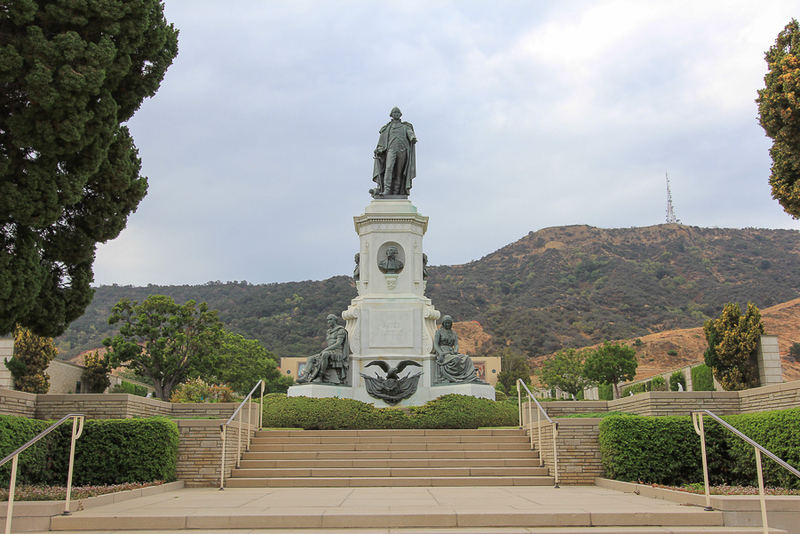 However, right after I took this picture, a Forest Lawn security guard approached me and told me that pictures taken with "professional cameras" weren't allowed in the park. If I had an iPhone or any type of smartphone it would be okay, but no digital SLR cameras are permitted. We couldn't figure out the logic on that one but we surmised two possible explanations. With websites like "Find a Grave" maybe they're trying to limit "professional" pictures that are showing up on the web. Or secondly, there was a huge funeral going on for a policeman that was recently killed in a traffic accident in Kern County and the staff may have been instructed to watch out for photographers. Who knows? In any event we had made plans to have lunch in the Echo Park neighborhood of Los Angeles to once again enjoy the culinary delights of the Taix French Restaurant. But we never know how or what will happen on any of our adventures and, as fate would have it, we ended up with a big surprise. 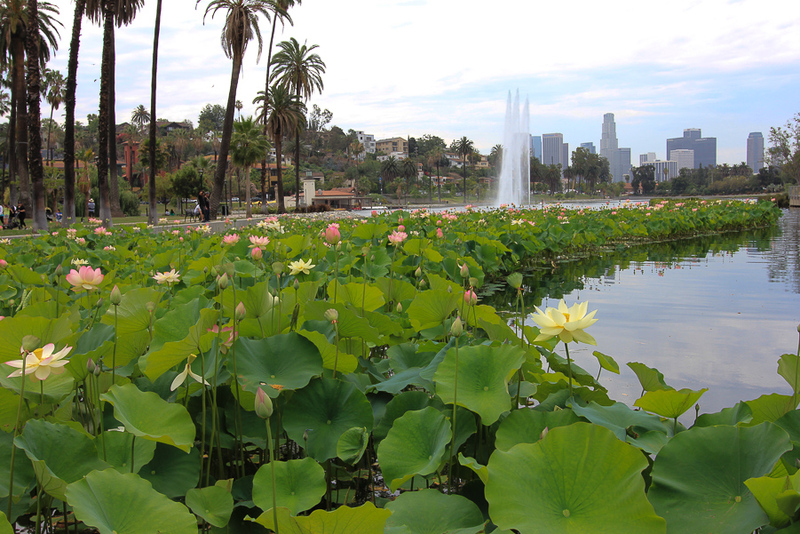 There's a big park in this neighborhood that centers around Echo Park Lake. 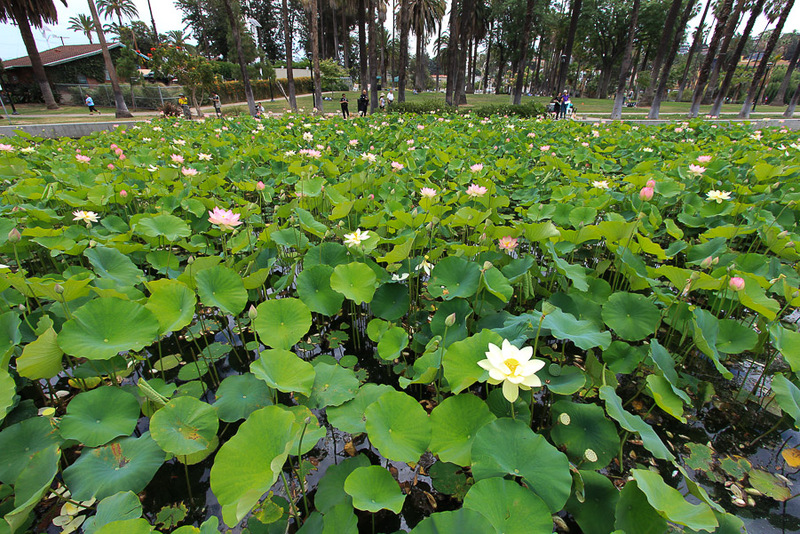 Each year there's a Lotus Festival to appreciate the lotuses in bloom and we happened upon it. 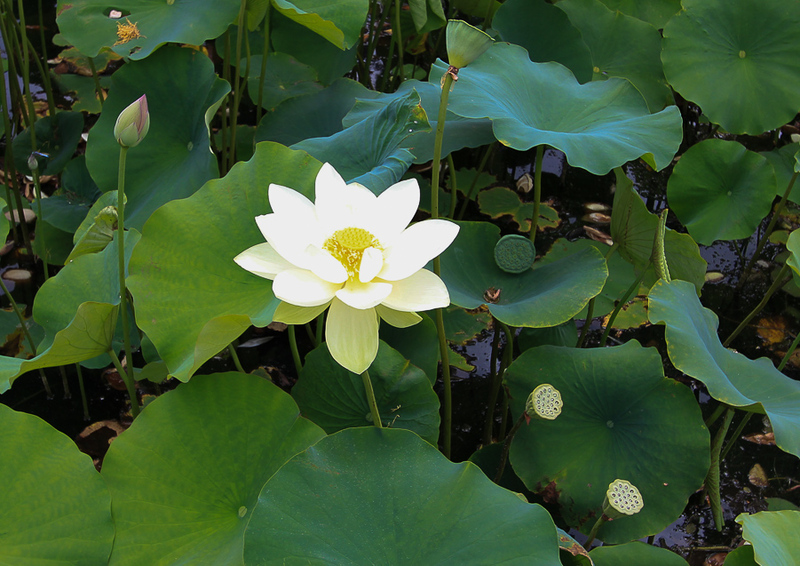 The lotus starts like regular bulb, as seen on the left. It then blossoms exposing its seed pod in the center of the flower. After that, the petals die and only the seed pod remains, as seen on the right. What a find for us! That's downtown LA in the background with the US Bank tower dominating the skyline. We had our lunch at Taix and had the same choices as last time there: French Onion Soup for appetizers and Steak au Poivre for our entrees. The food was delicious as always, but today the service was a little flawed. 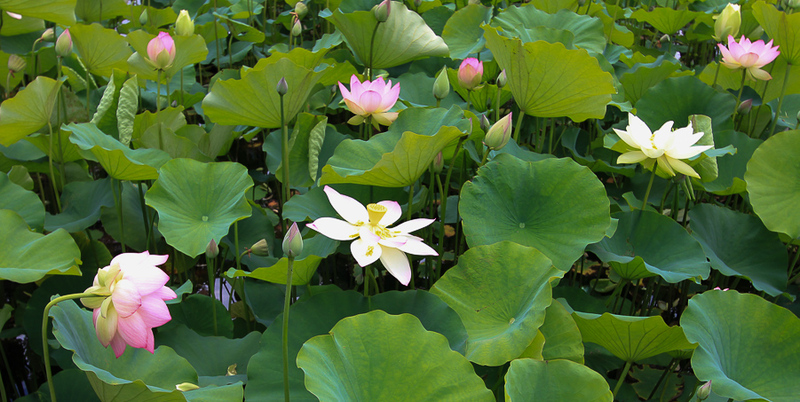 It didn't matter, since we got to see the lotus blossoms, which were the unexpected surprise of the adventure.